The Miranui flaxmill, located in the Makerua swamp just north of the Horowhenua town of Shannon, was once New Zealand’s largest flaxmill. The mill operated from 1907 to 1933, and had 19 mills, operating 42 flax-stripping machines and employing more than 700 workers during the height of the flax industry in 1916-17. The mill was built on a 300 acre site two and a half miles north of Shannon on the Shannon-Tokomaru main road (now Highway 57). The buildings were situated on terrace land on the eastern side of the road overlooking the Makerua Swamp (now the Opiki Plains). In those days the Makerua Swamp which covered 22,000 acres was known as the “great swamp” and was recognised for its high flax yield. 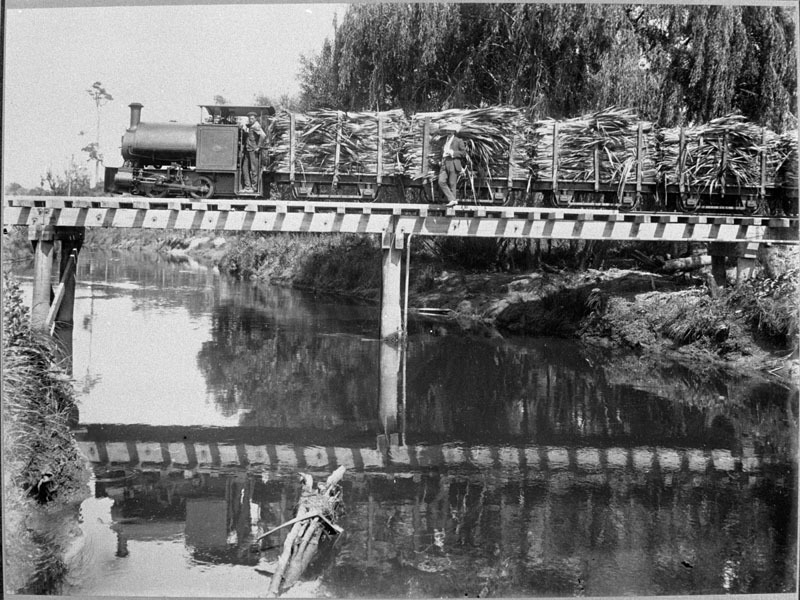 A unique feature of the mill was the 3ft gauge tramway which ran from the mill three and a half miles into the swamp. A small five ton steam locomotive was bought from Bagnall and Co of England in 1907 to haul the specially built flax wagons. Unfortunately even this tiny machine proved too heavy for the tracks across the swamps and it was sold to work later on bush tramways on the Waitakere coast near Auckland and near Raetihi in the central North Island. Teams of horses therefore took over on the flax tramway from 1910. 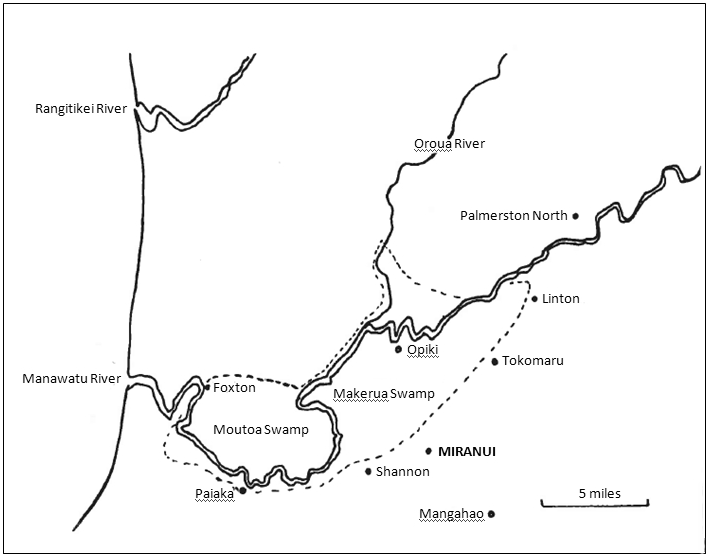 Sources/further reading: Miranui – The Story of New Zealand’s Largest Flax Mill (1977), by Bob Ayson. Accessible at Kete Horowhenua.